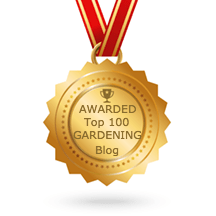 >> Do you want a rich, green lawn? 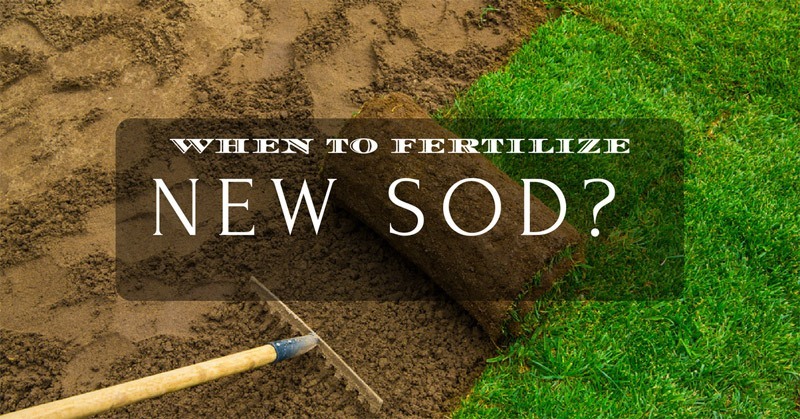 Learn when to fertilize new sod! If you want to make your property more attractive or increase its value, the easiest way to achieve this is to surround your home with eye-catching, green lawns. Starting your lawn from seed can take a lot of time and effort, but also often end up unsuccessfully. Using sod can transform your property almost instantly, and you will be able to enjoy the green grass with minimal effort. Of course, you have to take care of the sod and make sure to water it well during its first weeks, but also learn when to fertilize it. We will help you with fertilizing your sod, and we guarantee that, if you follow our advice, you will have a healthy, vigorous grass. What Is an Ideal Time to Lay Sod? Sod or turf grass is an already planted grass which has a layer of soil underneath it held together by the grassroots. It is usually grown by specialized farms. Harvesting sod is not an easy task; special equipment has to be used to cut it precisely to standard size pieces ready to be laid down. The sod is usually grown and sold locally to ease the transportation and keep the price acceptable. You can buy a rectangle and square slabs, or if you want to cover large areas such as golf-terrains, you can opt for large rolls around four feet wide. As sod is not a minor investment, but quite the opposite, you should pay special attention to when and how you lay it. Although in theory, you can lay sod almost any time throughout the growing season. Ideally, you should do it during the spring season, or if you miss it, in early autumn. Sod thrives in cold temperatures, but rain is her real ally when it comes to producing roots quickly. If for some reason, you have to lay sod in summer, you have to make sure to water it daily during the first month. Choose a cool, or rainy and cloudy day to avoid unnecessary plant stress. If you cannot wait for such a day and you are forced to lay sod during a hot summer day, at least moisten the soil you will place it on. Although many people nowadays hire professionals to lay their sod, we think that you can certainly do it on your own and save money. On the other hand, although the job is relatively easy, you will have to set apart quite a lot time and dedicate it to this task. Your effort will pay off rather quickly though, and you will appreciate your lawn even more knowing that it is your personal doing and success. The first necessary step is to prepare the soil adequately. The better you do this, the better will your chances of succeeding be. Clear the surface from stones, twigs, and other debris. If there are large soil clods, crush them into smaller pieces. Level the surface well and smooth it with a rake. At this point, we recommend improving the soil using organic matter. You will also need to purchase a sod roller which will help you make the soil more compact. Finally, it is time to start laying the sod; we recommend that you have at least a few friends or family members that will help you and make the process less tiresome and more fun. Spread out strips to create a bricklike pattern. Push them as close as possible to achieve a tight fit. You are sure to have irregular areas and loose ends, so make sure to bring an appropriate knife or spade with you to cut off unwanted parts. When you lay down all the strips, you should use the sod roller to push all the air out. You need to water the sod immediately after placing it, and continue to water it once a day for at least two weeks, or until you notice roots. The soil should be moist to four inches of depth. You should not mow sod until you are positive that it has rooted firmly enough. You can find this out by tugging it gently- if there is resistance, you can go own with mowing. Usually, new sod can be safely mowed and cut after one-week from laying. However, mow extra carefully paying special attention to prevent wheels damaging newly-established roots. It is also recommended to use sharp blades as dull ones can damage the sod. Adjust the mower to remove maximum three centimeters of grass. Never allow your grass to grow too long, nor cut it too short, as that will allow weeds to prosper. Too short grass might also die off or burn more easily. Answering this question can be quite challenging, and this is why we wanted to pay special attention to it. The perfect time to fertilize new sod depends on the two main factors: the time you laid it down and the type of grass. If you followed our advice and laid the sod in early spring, you should fertilize it somewhere around the end of the spring or, to be precise, somewhere between four and six weeks after laying it down. Even if you lay the sod later, in the summer or early autumn, you should still wait at least one month before fertilizing, but avoid doing it later than early October. Always follow the instructions on the fertilizer bag to the letter. You should buy and use nitrogen fertilizer but be careful not to overdo it when it comes to the actual amount of nitrogen contained. Opt for a balanced fertilizer that will help your grass establish successfully. When it comes to spreading the fertilizer, avoid doing it by hand as that will make your grass grow unevenly and ruin the aesthetic appeal of your future lawn. For this reason, you should use a broadcast spreader that will spread the fertilizer evenly. It is important to remember to apply only half of the recommended amount on the fertilizer bag. Namely, if the instructions state to set your spreader to twelve, you set it at half the rate and put it on six. You do not need a full dose of fertilizer as you simply want to help out the initial grass growth and not do the full-scale fertilizing. As already mentioned, the type of grass dictates the dynamic of fertilizing process. For example, the St. Augustine type requires fertilization two or three times per year while the Bermudas needs to be fertilized more often and requires a higher amount of fertilizer to stay green. As you can see, sod can turn your yard or property into a lovely area without waiting for the grass to grow. On the other hand, it does require some effort and care, but when it’s laid and fertilized correctly, it will thrive in no time!